After 10 years here at How to Cope with Pain, I will finish writing this month. This website and blog will continue to be available to you for reference. To help with that, I’ve reorganized the whole website and blog so the articles are easily accessible. I hope you’ll return often, and continue to practice all the skills we’ve reviewed here. I have enjoyed writing for you. It’s helped me learn so much about pain and I hope it’s been useful for you. Thank you for your enthusiasm, your great questions and comments, and just for visiting and reading. I’ll continue to have my practice in chronic pain medicine, as it’s my calling and passion. And I may be working on a book! ***To get every new article delivered to you for free the instant they're published, sign up for How to Cope with Pain by email or RSS feed. 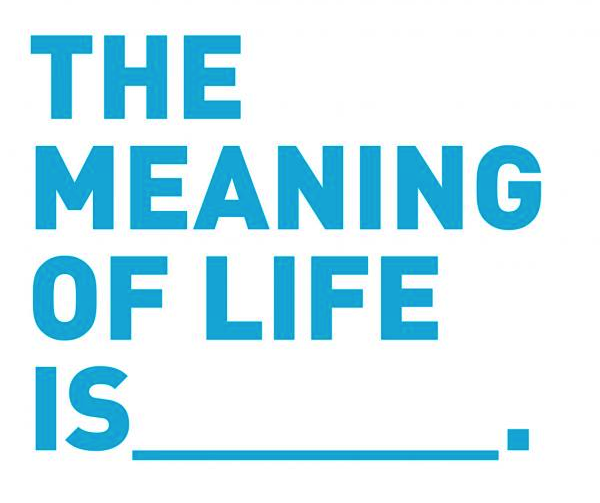 Let’s look at the other big component of happiness: life satisfaction and meaning. For some professions, it’s easy to see what kind of strengths could be used. A doctor could use knowledge and humanity. A teacher could use learning and kindness. A yoga teacher could use temperance and spirituality. However, if someone went into medicine but wasn’t much of a people person, trying to do clinical care might not match very well. This person might make a better researcher. A second point is that you don’t have to have a profession to be able to match your values to your work. There’s a front desk worker at my gym who is the friendliest, most personable person I know. So that kind of job could be a wonderful way to express values such as open mindedness, kindness, and hope. So to be happiest and get the most satisfaction out of life, be sure your work, relationships and leisure match your strengths and values. And, always be on the lookout for additional ways to use your strengths and values in these areas. How to Get Even More Enjoyment! November 21st, 2016 · Comments Off on How to Get Even More Enjoyment! Another way to increase your pleasure is to plan surprises. You can do this for others (they will get pleasure and you will enjoy surprising someone else) and make a plan with a friend or family member to surprise each other with enjoyable things. Add a different type of pleasure each day. Add a surprise pleasure once this week. To be more hopeful, we can learn to recognize our pessimistic thoughts and then change them to be more hopeful. You can use “ABCD” (I’ve slightly changed the acronym from Authentic Happiness). A – What is the adverse event? C – What are the consequences of these beliefs? D – How can you dispute these beliefs? A – Susan wasn’t invited to the wedding of a coworker Ann. C – Susan feels upset and sad because of these thoughts. A – Colin’s new pain medication didn’t work. C – Colin starts to feel discouraged and hopeless. evaluate if the thought is helpful or not. (“Being that pessimistic isn’t useful to me. It’s just getting me down.) Just because you have a thought, doesn’t mean you have to believe it. Your assignment: Practice ABCD for one negative event each day. Look for pessimistic thoughts and dispute them. 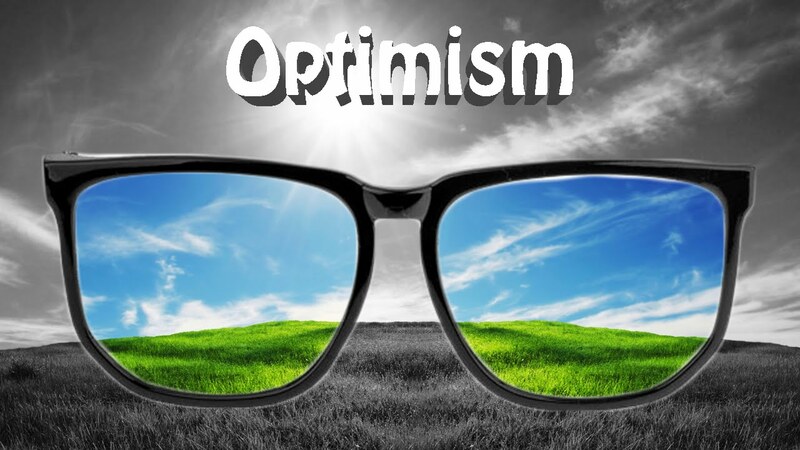 Let’s look at some optimism examples, using optimism to increase happiness. Optimists believe there are permanent and universal causes for positive events. 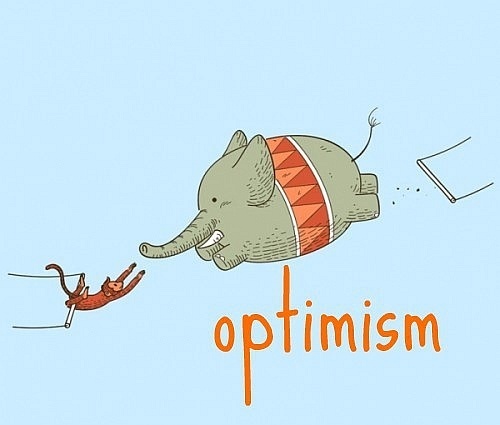 Optimists generalize positive causes and expect them to continue. Optimists believe there are temporary and specific causes for negative events. These causes can be changed and they only apply to this one specific negative event. Negative Event Example: I signed up to sell some of my charity notecards at a craft fair, but there were few buyers. I didn’t question the value of my cards. I recognized that the fair wasn’t a great place for selling – most people came just to walk outside and have lunch. And I learned what type of fair I’ll look for in the future. Keep tracking your reactions to positive and negative events, and look for explanations that are more optimistic. Optimism about the future hinges on what’s called our “explanatory style” – what we believe the causes are of good and bad events. The teacher liked my answer. It’s because I always work hard on my homework (permanent), and I always work hard in general (universal). I failed the exam. It’s because I didn’t prepare well this time (temporary), or I had a hard time with just this section (specific). Pessimists are the reverse – they believe there are temporary and specific causes for positive events, (The teacher liked my answer because he was having a good day today). And there are permanent and universal causes for negative events, (I failed the exam because I’m not very smart). So first I’d like you to investigate your own explanatory style. Each day, take 2 events, 1 positive and 1 negative – and see what you’re thinking about the cause of the event. Look at both permanence (is the cause permanent or temporary?) and pervasiveness (is the cause universal or specific?). Next week we’ll look at how to change our style is we’re more pessimistic. Your assignment: Evaluate your explanatory style for 1 positive and 1 negative event each day. 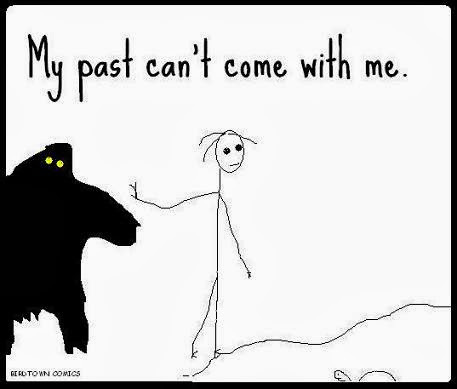 Let’s look at forgiving and forgetting your past. But you can set yourself free by forgiving. It may be something we ourselves did that we can’t forgive ourselves for, or something that was done to us that we can’t forget. The goal is to forgive, when you’re ready. If you’re not ready, work on getting ready. Forgiveness is not forgetting what was done, or ignoring something bad, or just being nice. It’s moving on and letting go of the situation’s hold on us. Let’s start with something small – someone doesn’t wait their turn at a 4 way stop sign, and cuts you off. R – recall. Remember the situation. Notice your feelings. Now create a story without all the blame and anger towards the other driver. E – empathize. Perhaps they weren’t paying attention. Perhaps they were in a rush. Have you ever done something similar? Have compassion. Put the mistake in perspective. A – altruistic forgiveness. Forgive the other person. It’s ok.
C – commit to forgive. Say it out loud. Imagine your irritation floating away. H – hold on. If your irritation returns, practice compassion and wish for peace for the other person. So each day write down a mistake you made or a grievance you have towards someone else. Practice “REACH”. For small things, you might find it easy to forgive. Practicing with small things exercises our “forgiveness muscle”, and we’ll be better able to let go of bigger things. Your assignment: Do this exercise once a day. Let’s look at increasing positive emotions by looking for the positive in any situation. Our squirrely brains automatically look for problems and negatives. As with some situations – the negative is truly there. This isn’t about only the glass half full. But a balanced way of looking at most situations is finding the positive along with the negative. “Small challenge” example: We returned from a weekend away, and I had nothing in the frig for dinner. I got a yummy salad take out lunch the next day, instead of bringing my lunch to work. I had some nuts and dried fruit for a small dinner, and remembered that I’ve been wanting to do a mini-fast (tiny dinner) once a week anyway. So instead of feeling deprived and stressed about not having something to make, I worked around it, and remembered something I wanted to try. “Bigger challenge” example: We had guests for a week, with lots of disruption and many more entertaining demands than I had anticipated. Visiting with people we haven’t seen in a long, long time. I learned to rely on others more during this week. I learned the importance of listening to my limits in terms of energy and busyness. I tried to focus in this situation on what was important – visiting with the guests, and let the annoyances go. It was also helpful practice for me of recognizing my limits – not going over them and being unhappy – and relying on others.